Music producer/composer Roman Rojas and singer songwriter Sharin Toribio of www.eastsidepunks.com go back in time to a 2007 interview with legendary Grammy Award winning musician/composer/arranger John Benitez. They also listen and react to some of the commercial music Roman Rojas produced a few years ago with John Benitez and talk about his incredible contribution to the arts. He recorded with Roy Hargrove's Crisol band (whose recording, “Habana,” was awarded the Grammy for best Latin jazz performance in 1997), David Sanchez (the Grammy nominated, “Obsesion”) Tito Puente, Hilton Ruiz, Antonio Hart, the Tropi-Jazz All Stars, the Mingus Big Band, the Caribbean Jazz Project, and Eddie Palmieri. 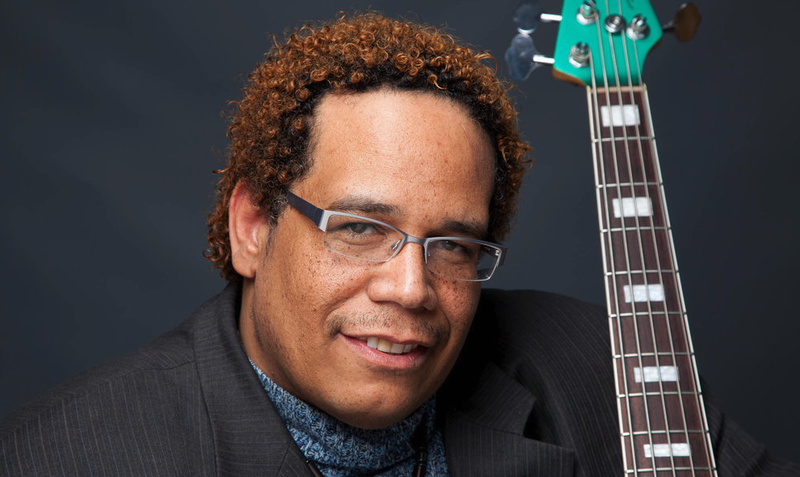 John has played and recorded with some of the finiest Jazz, Latin, and R&B musicians and has learned something from each and every one of them. This diversity of influence and experience is reflected in his latest project and first recording as a leader, “Descarga in New York,” released in August 2001 on Khaeon World Music. Together with his Trio (the gifted pianist/composer Luis Perdomo and the powerhouse drummer Dafnis Preito) and special guest percussionist, Richie Flores and the tenor saxophonists Ravi Coltrane, John has created a strong musical statement which highlights his prodigious talents as a bassist--both acoustic and electric-composer, arranger, and and producer.